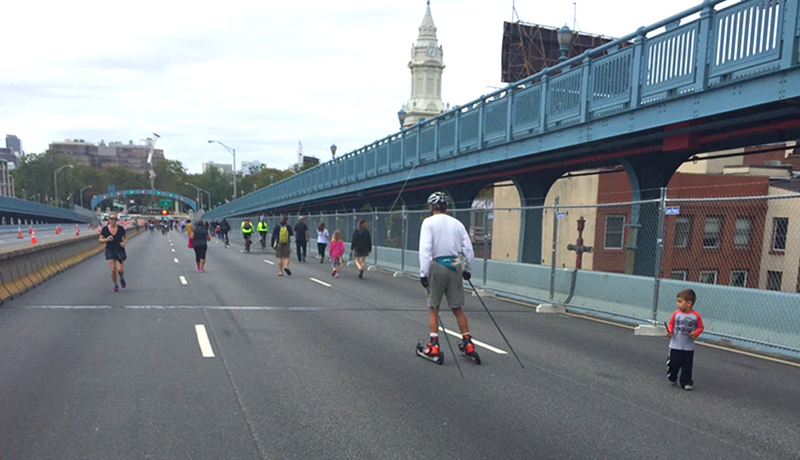 The route for Philly's first-ever open streets event is now nearly 10 miles long. Say it with us: Heck yes! By Adjua Fisher·	 9/9/2016, 4:52 p.m.
Sweet! A press release from the Mayor’s office announced today that the route for Philly Free Streets, Philly’s first official event that will close some of Philly’s streets to cars for a few hours so that we can all run, walk and bike freely, has just been extended from its original distance of over seven miles to nearly 10. 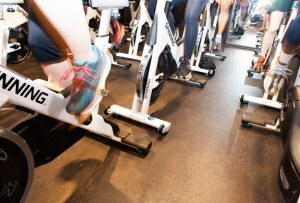 Are you squealing? Same. Thanks to an overwhelming response, the City is extending the official route of this month’s Philly Free Streets so that it now includes nearly 10 miles of free streets. Philly Free Streets was announced last month by Mayor Kenney to take place on Saturday, September 24 from 8am until 1pm. It was originally a more-than 7-mile inaugural route, river to river, in proximity to 15 diverse neighborhoods. Due to a flood of interest from organizations that want to get involved and provide programming, the festivities will expand onto the entire length of Dr. Martin Luther King Drive. The inaugural route will run from Front & South to the South Street Bridge on to the Schuylkill River Trail into W. Fairmount Park. Activities will now continue on to MLK Drive, ending at Falls Bridge. In addition, streets in West Fairmount Park will be closed in order to support activities. Say it with us: Heck YES. Conversation of an open streets events sparked after the Pope’s visit last fall, when we all realized that car-free streets are prettttty darn awesome for walking, biking and running. 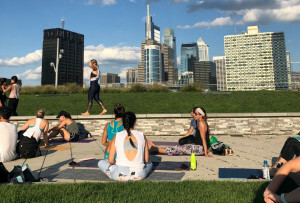 At Philly Free Streets, over 50 organizations are slated to provide activities along the stretch of streets, from boot camps to biking lessons to group rides to runs and more. Yes, it’s going to be a Saturday morning for the books. You can find more info on Philly Free Streets here.